Blankingship & Christiano, P.C.’s consumer protection attorneys are advocates for identity theft victims and accept cases in the Washington DC Metro region. Blankingship & Christiano, P.C. takes great pride in assisting clients get out of unfortunate situations. 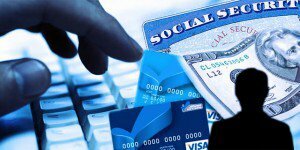 Identity theft happens when a person imitates another individual by using false information like a social security card, birth certificate, license, or date of birth. Identity theft victims can spend months and/or years trying to clear their credit report. In hiring an experienced consumer protection attorney clients can be assured that every possible step will be taken to restore their credit and take back control of their life. Your ability to find a job, purchase a car, obtain a mortgage, or seek clearance and pass background checks can all depend on an accurate credit report. If there are errors on your credit report that adversely affect your credit history, it could put your future at risk in a number of significant ways. If you find credit report inaccuracies and dispute them, it is the responsibility of the offending agencies to address them. If that doesn’t happen, you have the right to take legal action to protect yourself. These cases can become very complex, and it is important that you have strong representation from an experienced consumer protection lawyer with the passion and successful track record to properly handle your case. From our office in Northern Virginia, Blankingship & Christiano, P.C. provides comprehensive representation in a variety of identity theft and credit report dispute problems. Contact our office to speak with one of our attorneys. Schedule a consultation today by calling (571) 313-0412 or by filling out our online appointment form on the right.